Pat was born to John and Beulah Ritchey 12/27/31 in Ryan Ok. The youngest of six children, she was preceded in death by her husband, Orville; son, Steve; and six brothers and sisters and their spouses. Pat was raised on a farm and graduated from Union Valley HS in the last class of seven seniors. She went on to attend Southeastern State College in Durant, Ok. where she earned a degree in Music Education with a concentration in Voice. She married Orville Newell in 1954 and went on to raise his three children as her own. After moving to Austin in 1960, Pat taught Music at Travis Heights Elementary for 34 years until her retirement in 1995. Pat was the Choir Director and taught Sunday school at Grace United Methodist church for several years. As a constant voice for peace, Pat worked diligently with the United Nations volunteer program to help educate various youth groups about that organization. 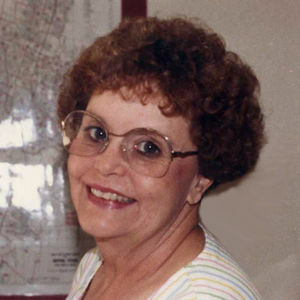 Pat is survived by two of her children, Barney Newell and Lana Rodriguez; grandchildren, Monica Newell, Kevin Newell (Leigh Anna), Nicholas Rodriguez (Matt Lenz) and Matthew Rodriguez, as well as four great-grandchildren and three great-great-grandchildren as well as many nieces and nephews. She is also survived by thousands of music students at Travis Heights Elementary from 1961-1995. Pat was especially fond of a core group of teacher friends called "Bernice's Girls". In lieu of flowers, donations can be offered to the Alzheimer's Association. Funeral Service 11:00 am on Wednesday, February 13, 2019 at Weed-Corley-Fish Funeral Home, 2620 South Congress Avenue. Interment will follow at Assumption Cemetery. Your inquiry has been forwarded to Weed-Corley-Fish Funeral Home South.